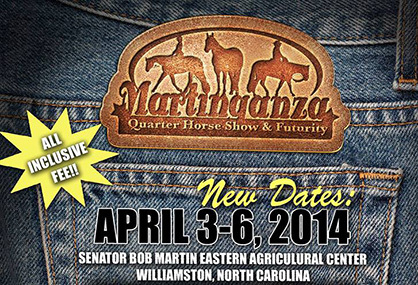 2014 Martinganza Quarter Horse Show and Futurity Kicks Off Today! 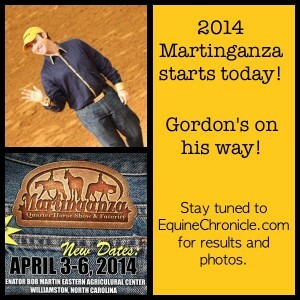 Show management’s plan to take advantage of warmer temperatures seems to be playing out in their favor as the 2014 Martinganza Quarter Horse Show and Futurity kicks off today in Williamston, North Carolina to sunny skies and temperatures predicted to stay in the 60-80 range throughout the weekend. Beginning today at the Senator Bob Martin Eastern Agricultural Center, showmanship, halter, western pleasure, horsemanship, and speed classes will take place with the same schedule repeating on Saturday. The schedule will flip for Friday and Sunday to host trail, western riding, hunter under saddle, equitation, and over fence classes. Judges for Thursday and Friday are Tanya Green and Rhonda Replogle. 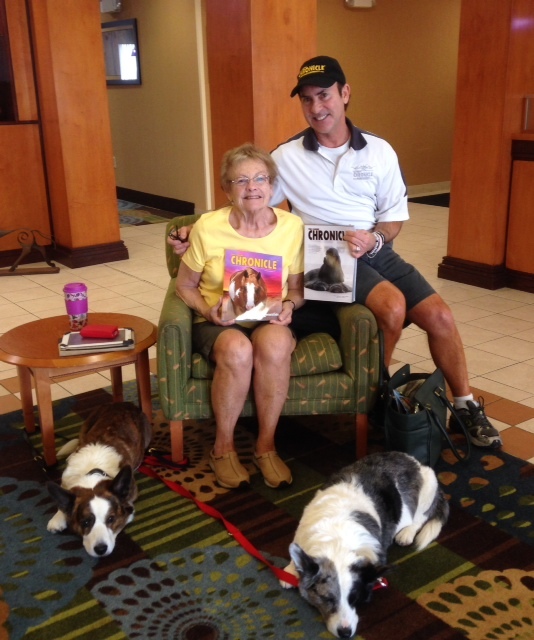 Judges for Saturday and Sunday will be Nancy Sue Ryan, Larry Hansch, and Kelly McDowall. Always a favorite show among AQHA competitors, the Futurity has suffered in year’s past due to bitter temperatures and chances of snow affecting travel in February. However, the change in dates for 2014 has rejuvenated interest in the event, as has the new invitation method of qualification approved for halter horse competitors for the AQHA World Show this year. According to the new method, amateur, select, and open halter competitors can earn an invitation to the AQHA World Show by competing at a specific number of shows during the qualifying period, with the exception of performance halter. The basic requirements state that to earn an invitation, an amateur or select amateur must show at ten shows in a halter class. In contrast, open competitors must show at 20 shows in a halter class. 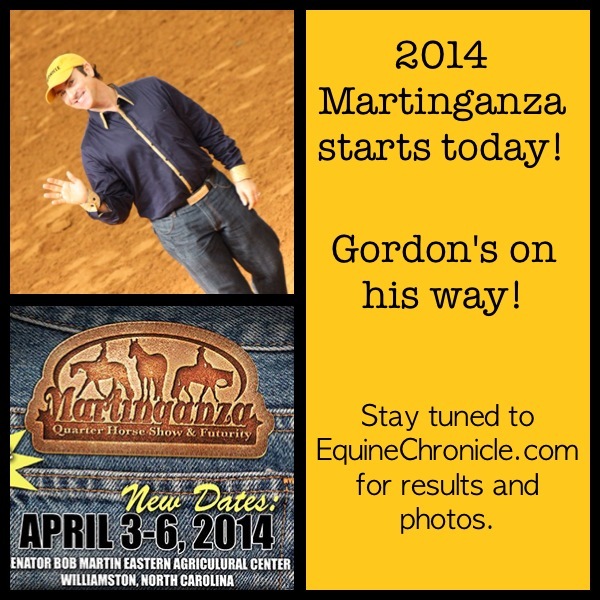 Martinganza is the halfway point in a show “Loop” that’s providing halter horse enthusiasts on the East Coast with a new opportunity to get qualified without having to travel across the country. In a previous interview with Martinganza representative, Susan Daniels, she explained how competitors could use this show to take advantage of the new qualification method. Two of the shows in The Loop have already taken place: the VQHA Spring Breakout, March 20-23 in Lexington, VA, and the BBHA Mid Winter Show, March 28-30 in Lumberton, NC. 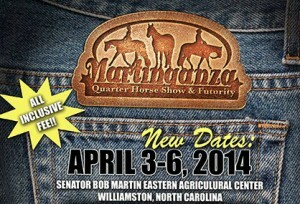 The Martinganza show begins today and will continue through April 6th in NC. Then, many competitors will travel on to the Virginia Quarter Horse Classic, April 10-13 in Lexington, VA.
Our very own Gordon Downey is en route to the show at this very moment and will be providing his trademark around the ring photos coming soon. Tomorrow night, exhibitors will have the opportunity to enjoy a barbecue dinner with a mechanical bull and live DJ! Circuit awards will be presented in every class, and All Around awards will be given in Open, Amateur, Select, Youth 13 and Under, and 14-18 divisions. High Point awards will be given in Novice Youth, Novice Amateur, and Small-Fry (10 and Under). One fun event to look forward to is the Showmanship Shootout, a jackpot class where monies will be paid back to the winners in accordance with NSBA rules. 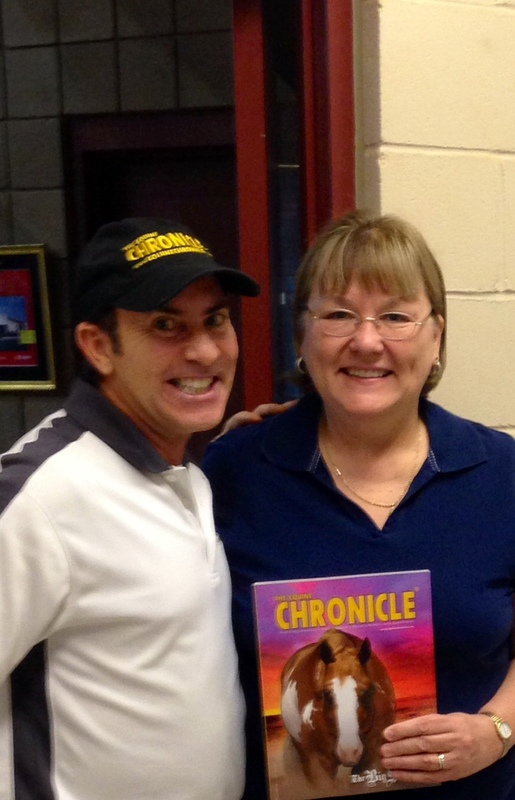 Click here to view the showbill for Thursday and Saturday. Click here to view the showbill for Friday and Sunday. Click here to view all the patterns online.